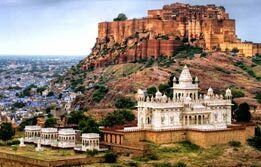 Rajasthan fascinates all with its splendid list of forts and palaces. 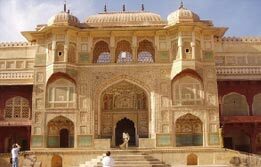 Rajasthan tour packages remain extremely popular among those seeking the rich history and architecture of India. 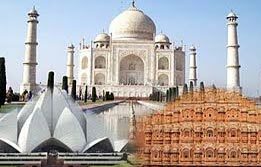 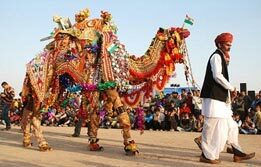 Book Rajasthan travel packages to visit its splendid cities like Jaipur, Udaipur, Jodhpur, Bikaner, etc. 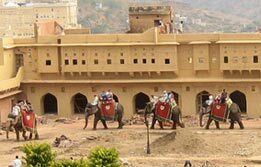 A fort and place tour in Rajasthan is a lavish treat where you see the grandeur of the state closely. 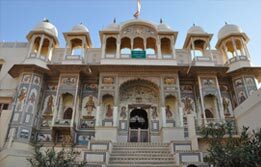 Extravagant travelers often pick Rajasthan luxury tour packages to relive that era by staying in heritage hotels which were once the palaces of kings. 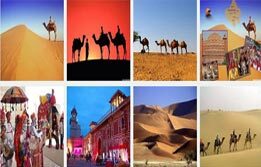 Being a desert state, travelers also take the pleasure of Rajasthan camel safari tour India where they get to ride on camels and enjoy sights of mystifying desert. 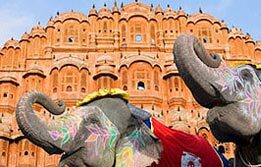 Spend some time listening to the local folk music narrating some beautiful tales of royal kings during your Jaipur tour or Udaipur tour. 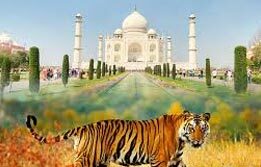 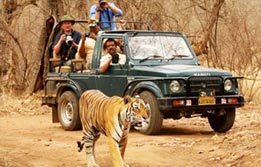 Travelers also book wildlife tour in Rajasthan India to explore its remarkable National parks like Ranthambore National Park, Sariska Tiger Park, etc.